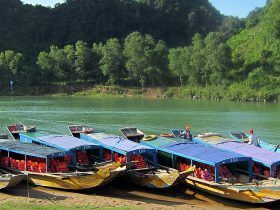 3 days/2 nights – Vietnam’s greatest 3-day adventure! 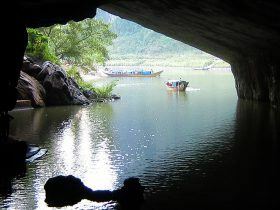 Every day showcases the diversity of cultures and scenery to be found in Vietnam. We’ll wind our way through narrow laneways and the picturesque delta, before heading to the hills. Day 1 ends at a Bho Hoong Bungalows, situated in remote hill tribe village where you will get to share in the hospitality of the Co Tu people. 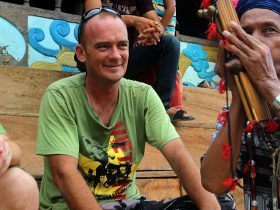 Wake to the sounds of village life before heading into some of Vietnam’s most spectacular jungle pathways on Day 2. Our day ends in the historic city of Hue, Vietnam’s former imperial capital. 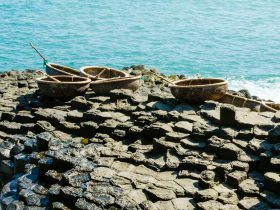 Day 3 finds us cruising through coastal fishing villages before traversing Vietnam’s highest mountain pass, Hai Van, then cruising down to Hoi An with glorious views of Vietnam’s famous coastline. ** Single room available at request. Single supplement charges apply. 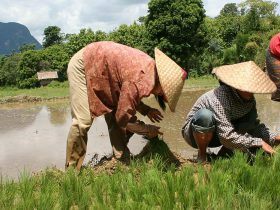 Delve into the heart of central Vietnam with this 2-day adventure. We set off from Hoi An on what promises to be an unforgettable voyage of rugged roads, rustic villages and stunning highlands. 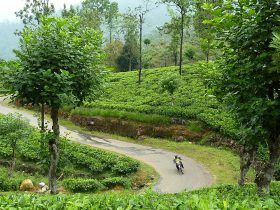 Pack your sense of adventure and leave behind those preconceived notions of touristy villages: this journey is the real deal. With the wind in your hair, we zip through the Hoi An countryside to Marble Mountain where the thrill-lovers among us can opt for an abseiling adventure into Hell’s Cave. We then head west and climb our way into the mountains. As we wind our way up into the hills towards the Lao border home to the Co Tu minority, we take a break to visit one of the few remaining Co Tu woodcarvers and enjoy a home cooked lunch in his stilted house before continuing our journey deep in to the mountains, meandering through isolated villages where the culture and traditions remain untouched by time making this remote and staggeringly beautiful region home to one of the most authentic hill tribes to remain in Vietnam. We arrive mid afternoon at our stop for the night, home to the Co Tu Ethnic Minority group. 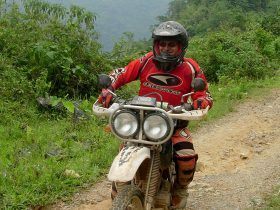 Day two of your motorbike adventure begins with breakfast in the village and a chance to watch the morning activities of the Co Tu. Bidding farewell to our hosts; we jump on the bikes to resume our adventure through the rugged highlands of Central Vietnam. 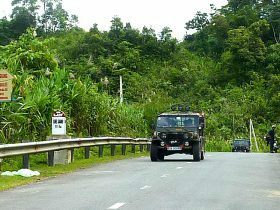 This time we follow a new section of the Ho Chi Minh Trail toward the Laos border, crossing through lush rainforests and over mountain passes on roads perfectly suited to motorbikes. Keep your camera handy as the views are stunning!Midday we take a break for a picnic lunch in the shade of a mountain waterfall. Take a swim in the cool waters or simply lay back and relax in the solitude. 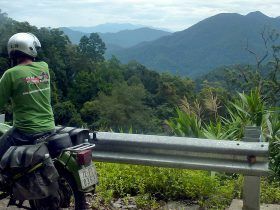 We then begin the last stretch of today’s motorbike journey, descending down to Hue. But the adventure isn’t over yet. The landscape continues to change as we make our way to the flatlands, passing through A Shau valley- an area that played a key role during the American war- before catching glimpses of the iconic Perfume River from the hills. We cruise into the centre of Hue in the early evening. Rise and shine, it’s time to set off on the final day of our adventure. Today’s bike journey takes us back to Hoi An by a different route, trading in the mountains for the gorgeous Vietnam coastline. We head east from Hue and then travel parallel to the sea, passing through fishing villages and along pristine sandy beaches for the first part of the drive. The salty air and refreshing sea breezes are a dramatic contrast to the mountain air from the previous days. We’ll stop often to dip our toes in the sea, chat with fishermen and to take photos. At the half way point of our drive we climb to Highway 1’s highest point, Hai Van Pass, where panoramic views of the coast are all around. The road then winds down toward Hoi An, passing through Danang city, Marble Mountain and along the coastline. 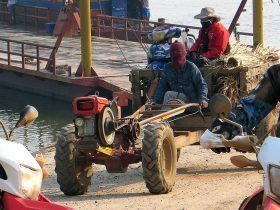 3,380,000 VND (160 USD) per day per person going by motorbike or Jeep. 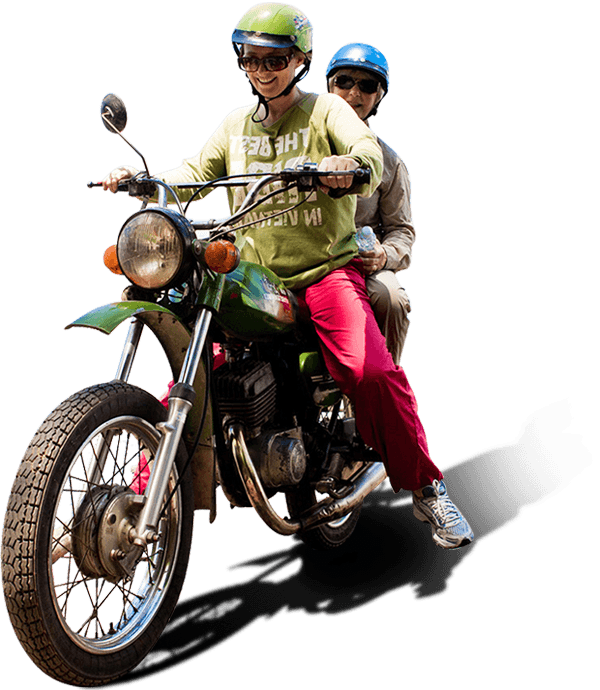 – You can either ride yourself or sit on the back with one of our experienced drivers or go as passenger in a Jeep. If there are two of you, it’s only 3,105,000 VND (135 USD) per day for the pillion passenger, if you share one bike. Prices are based on a minimum of 2 people departing. Private tours for solo riders available on request (surcharge applies). Prices are based on twin share accommodation. Single rooms available on request (surcharge applies). This was the highlight of our trip. The scenery was stunning and we didn’t see another tourist for the whole day. Our tour leader entertained us with lots of interesting information and sights and was a really interesting and energetic guy to spend a day with. 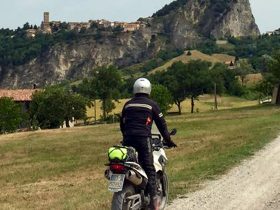 We rode pillion and the riders were great, felt entirely safe and well looked after. An experience to keep after the photos are forgotten! This trip has been a game changer as this now looks to be the only way of seeing a new country. If you’re out there wondering if it’s for you, regardless of skill or experience just do it! This trip has been a game changer as this now looks to be the only way of seeing a new country. If you’re out there wondering if it’s for you, regardless of skill or experience just do it! 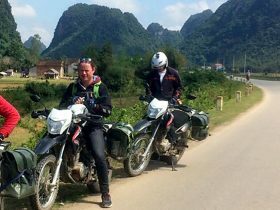 The guys at Hoi An Motorbike Adventures will ensure you have a safe but unforgettable experience.guys at Hoi An Motorbike Adventures will ensure you have a safe but unforgettable experience.